Part I of the massive book collection of a Hollywood dialect coach went to auction in July. Part II goes under the hammer on November 7. By Jeremy Dibbell Jeremy Dibbell is the director of communications and outreach at Rare Book School, University of Virginia. He blogs about books old and new at philobiblos.blogspot.com. 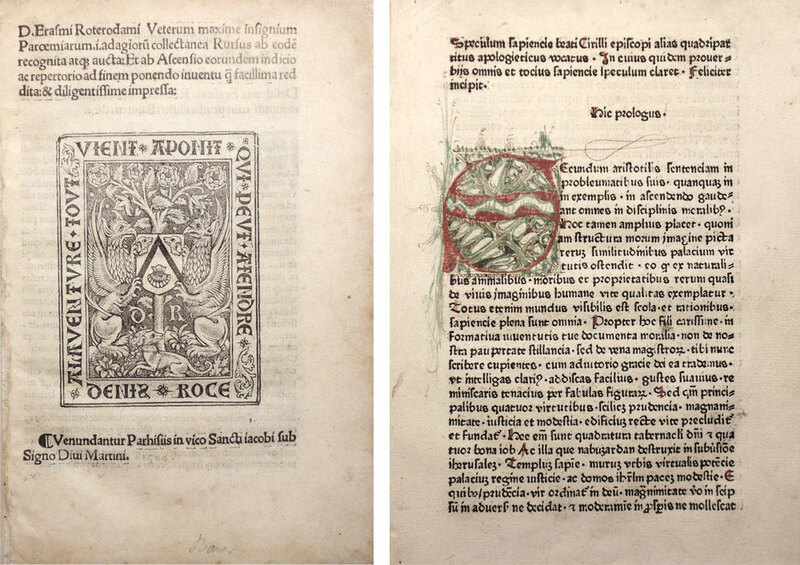 (LEFT) The second auction of the library of Robert Easton, scheduled for November 7, will feature several rare volumes, including this early edition of Erasmus printed in Paris by J. Barbier in 1506 and bound in full crimson morocco. Like several of Easton’s books, it formerly belonged to Scottish collector William Stirling-Maxwell. The estimate is $5,000-8,000. (RIGHT) Also featured in the November sale, Speculum Sapientiae, printed in Basel c. 1475 and bound in “sympathetic early twentieth-century vellum.” According to Addison & Sarova, there is only one auction record for this first edition since 1933. The estimate is $5,000-7,000. Courtesy of Addison & Sarova. “While ‘on location’ from London to Shanghai and across 60-odd years of traveling,” Robert Easton wrote just prior to his death in 2011, “I have lovingly collected poetry, prose, humor, history, culture, slang and local literature … often on my hands and knees in seedy secondhand bookstores, sweltering swap meets and fortuitous flea markets. What a great time I had!” Some of the fruits of those collecting labors went to auction on July 25 at Addison & Sarova Auctioneers in Macon, Georgia, sold as group and shelf lots, mostly at bargain prices. Part II of the sale, featuring singular rare and important items, such as several incunabula, early editions of Erasmus, and a first edition of Charles Mackay’s Memoirs of Extraordinary Popular Delusions (1841), is scheduled for November 7. A volume of proverbs from Easton’s collection containing the bookplates of both Victor de Guinzbourg and John Stirling-Maxwell. It was sold in a lot with other books of proverbs for $390. Courtesy of Addison & Sarova. 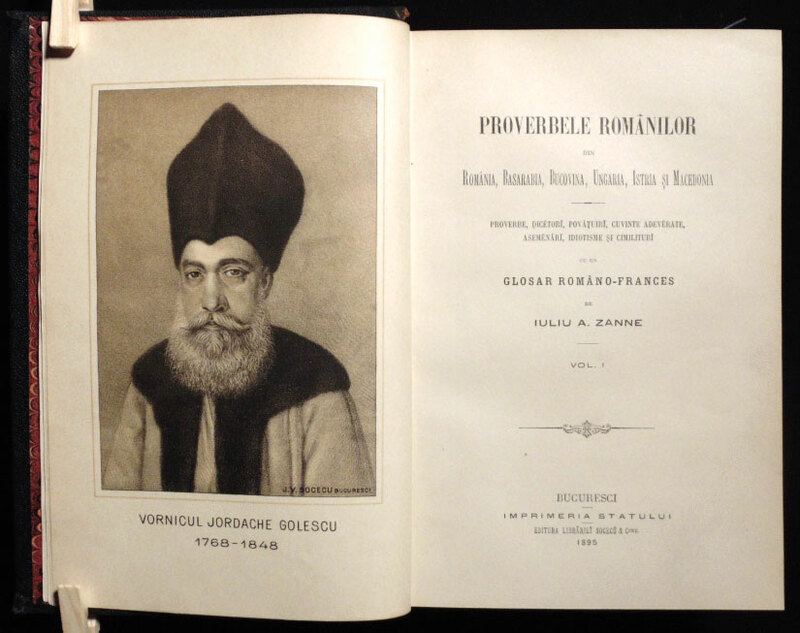 A shelf lot of proverbs, maxims, and aphorisms lured a Romanian bidder up to $1,400 at the July sale. Courtesy of Addison & Sarova. Easton was best known as a dialect coach to the stars, the “Henry Higgins of Hollywood.” He claimed to have worked with more than 4,000 actors, including Laurence Olivier, Gregory Peck, Al Pacino, Drew Barrymore, Helen Hunt, and Forest Whitaker. Master of more than 200 accents himself, Easton also had a long career as a character actor, appearing in television and films from Rawhide and Gunsmoke to Primary Colors and Star Trek VI: The Undiscovered Country. One large subsection of the library consisted of books of proverbs, many of which Easton had purchased from the widow of Lt. Col. Victor de Guinzbourg, author of Wit and Wisdom of the United Nations, a privately printed collection of proverbs about war and peace published in 1961. 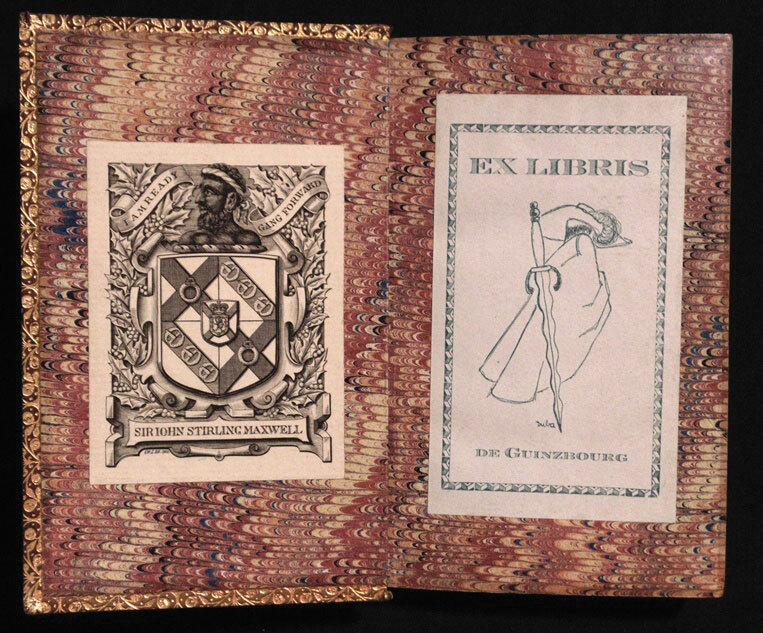 A portion of de Guinzbourg’s books, in turn, had come from the collection of Sir William Stirling-Maxwell (1818�1878), Scottish baronet and bibliophile who accumulated a well-known collection of books of proverbs. Easton also purchased a collection of books on wit and humor from producer and writer Paul Henning (of Beverly Hillbillies fame); this likely included an antique pine card catalogue containing thousands of file cards of jokes, which sold for $780. 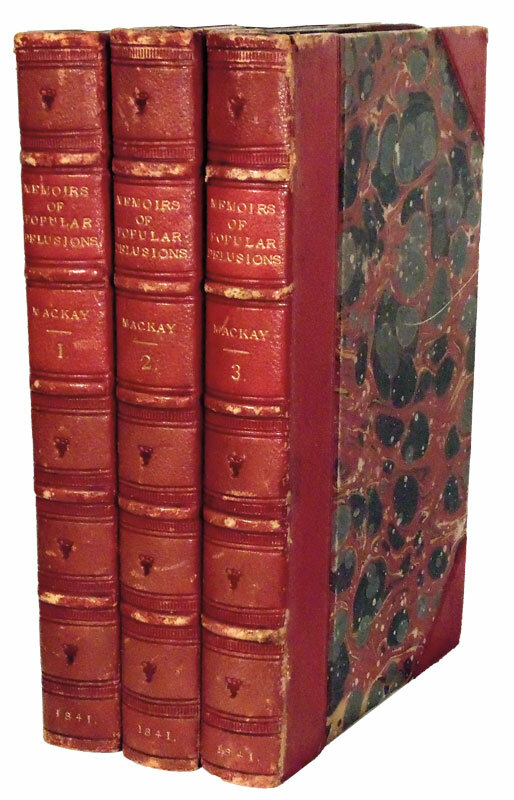 A highlight of the upcoming second sale of Easton’s library is this first edition of Charles Mackay’s Memoirs of Extraordinary Popular Delusions (London, 1841) in period half morocco. The estimate is $2,000-3,000. Courtesy of Addison & Sarovl. This sale was, auctioneer Michael Addison commented via email, “sort of an experiment in shelf-lots. Typically, shelf-lots are sold on-site only, no catalogue, no shipping, no online bidding, etc. In truth, it isn’t worth an auction house’s time to do it any other way because bulk creates a lot of work and isn’t worth all that much. We wanted to see what would happen if we catalogued and photographed them and treated them more like the higher-end material.” For the most part, that strategy worked well, with the house seeing a 96 percent sell-through rate, and dealers outnumbering collectors as buyers. Five lots fetched more than $1,000 including premiums, with the top lot (five volumes on Russian proverbs) selling for $7,200 to an online bidder from Russia. The final lot of the summer sale was marketed as “The Mother of All Shelf Lots!” and comprised “around 100,000 books” still at Easton’s North Hollywood home. The auction house suggested this was very likely the largest single lot ever offered at auction. Between the sale announcement and the date of sale, however, the family sold some of the consigned books to other buyers, causing Addison & Sarova to withdraw the lot. The family is reportedly finalizing an agreement with a dealer to purchase the remainder. As with voices, so too with books, perhaps. Jeremy Dibbell is the director of communications and outreach at Rare Book School, University of Virginia. He blogs about books old and new at philobiblos.blogspot.com.